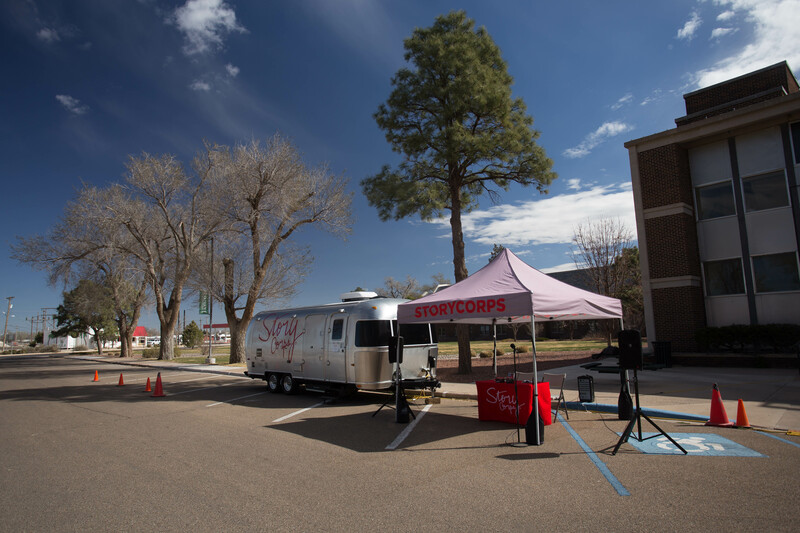 StoryCorps 2018 Mobile Tour Poster by The Heads of State. 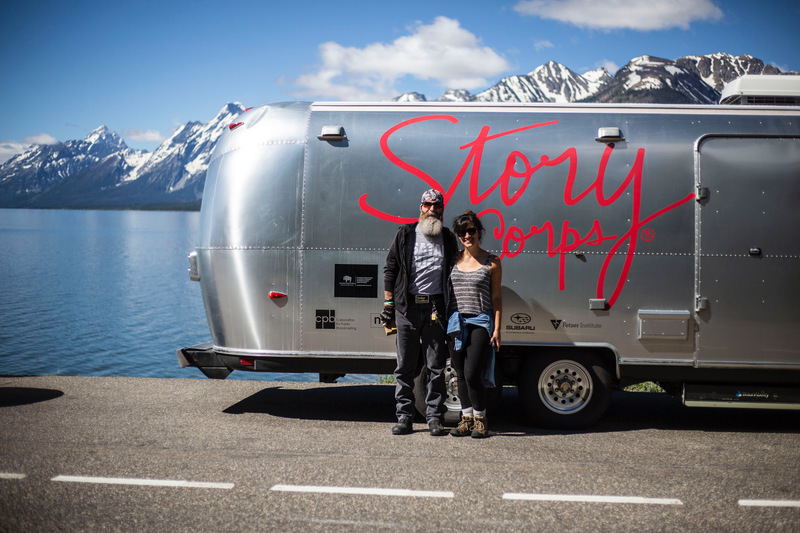 You can purchase the full poster on the StoryCorps store website. We began 2018 in Austin, TX and closed it out in Jacksonville, FL, in between covering almost 5000 miles and collecting over 1200 recordings. 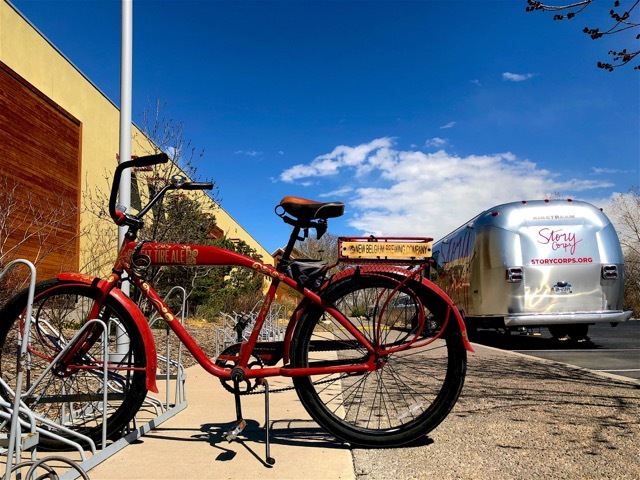 Along the way we partnered with 10 stellar public radio stations and over 100 local community organizations, who helped connect us to the people they serve and ensured that we recorded a diverse and well-rounded portrait of each city. In the booth we met incredible people who welcomed us into their lives and shared some of their most dearly held stories. We laughed with people and cried with them. We asked lots of questions, but most importantly, we listened, always mindful of the tremendous gift we were being given. As we look back and reflect on our year, we’d love to share some of what we heard and send a huge thank you to everyone we met along the way. 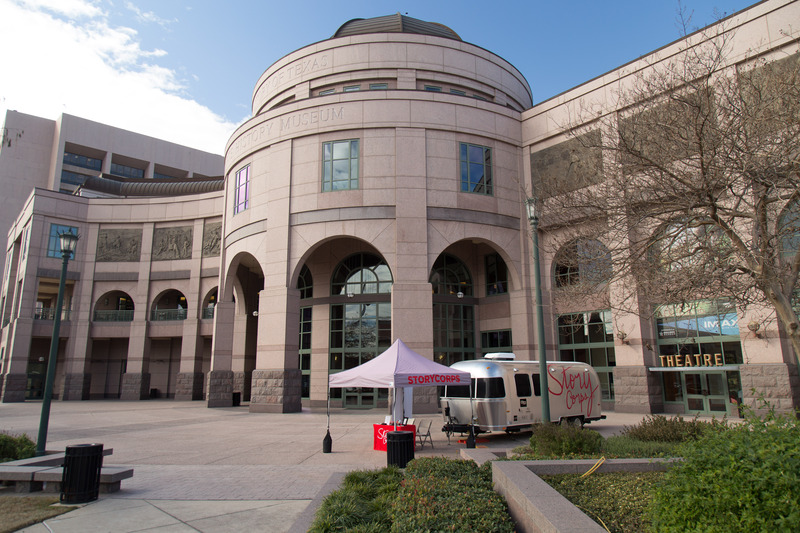 Photos: Booth Site at the Bullock; Opening Day speech by Mobile Tour Site Manager Morgan Feigal-Stickles. 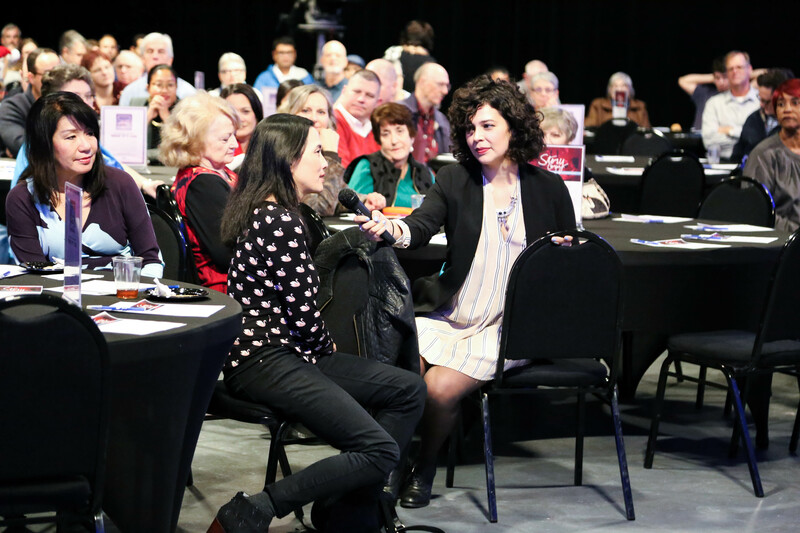 To listen to some of the stories collected during the Austin stop, check out the amazing work being produced by KUT. 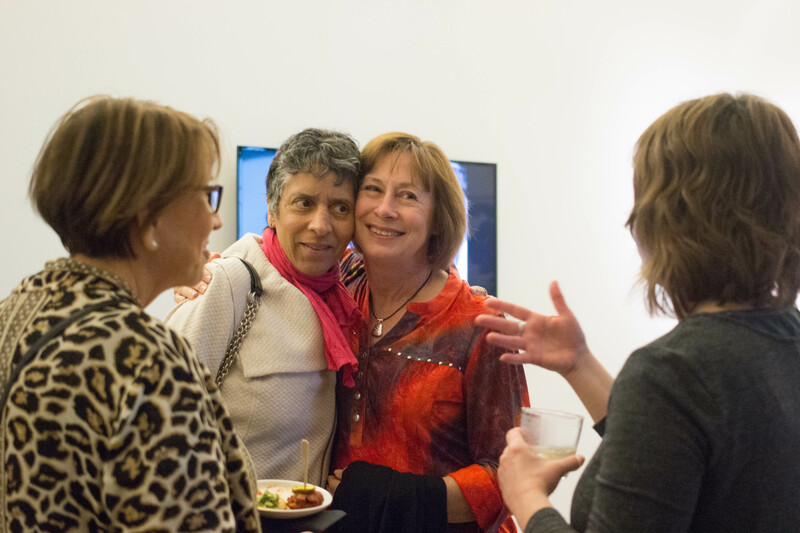 Photos: Attendees at our Listening Event at the 21c Museum and Hotel. Booth site at Pop Up Park. 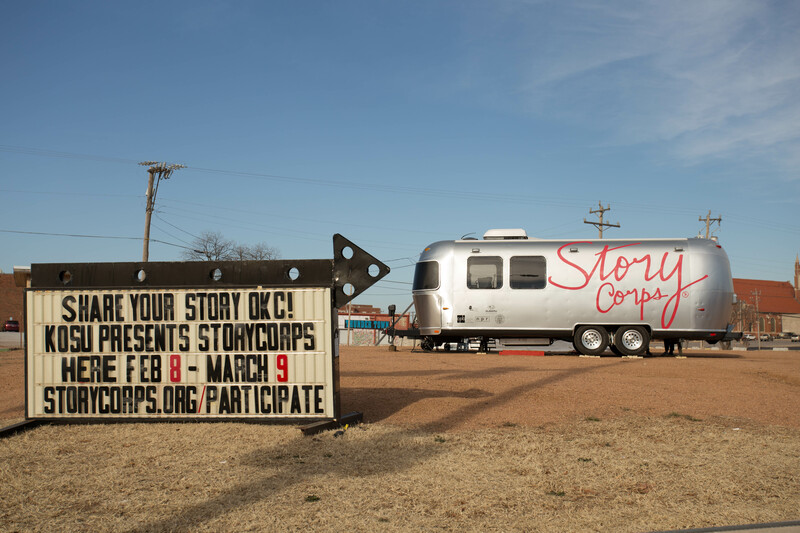 Hear some Oklahoma City stories, produced by KOSU. 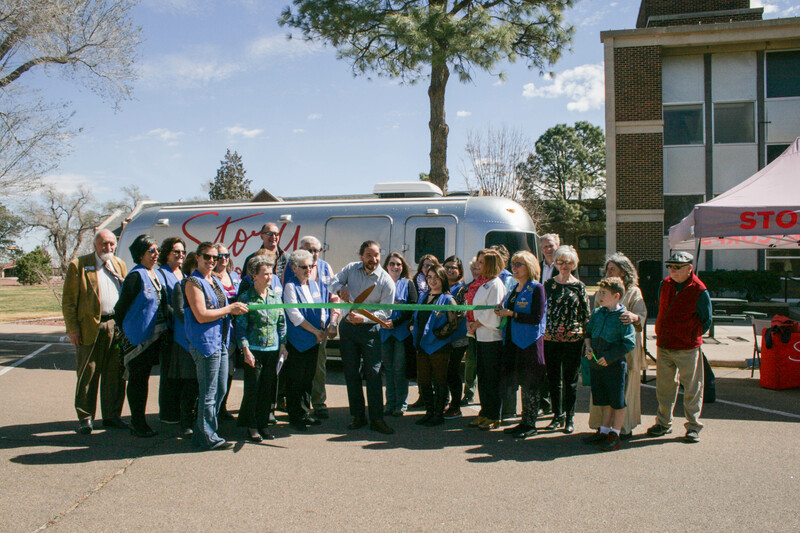 Listen to a Portales piece cut by StoryCorps Mobile Facilitator Madison Mullen. 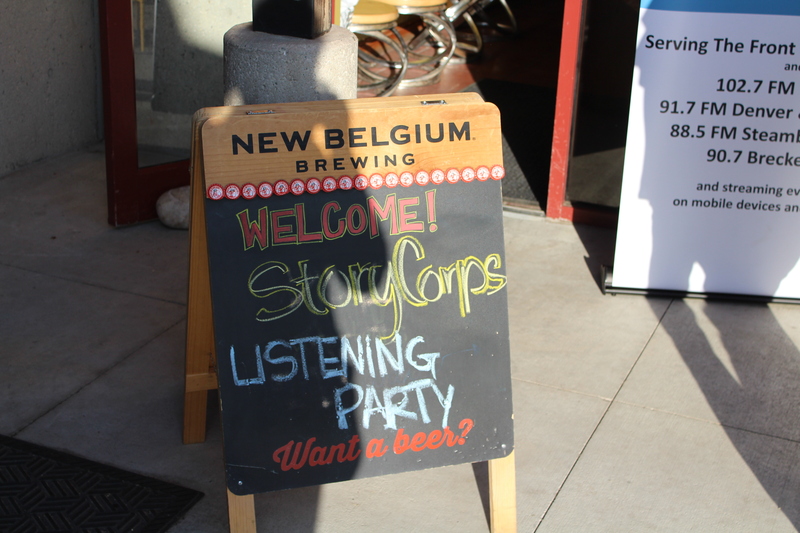 Photos: Booth site at New Belgium; Listening Event sign; group shot of StoryCorps participants who attended the Listening Event and SC Mobile facilitators Melissa Velasquez, Madison Mullen, and Site Manager Jacqueline Van Meter. 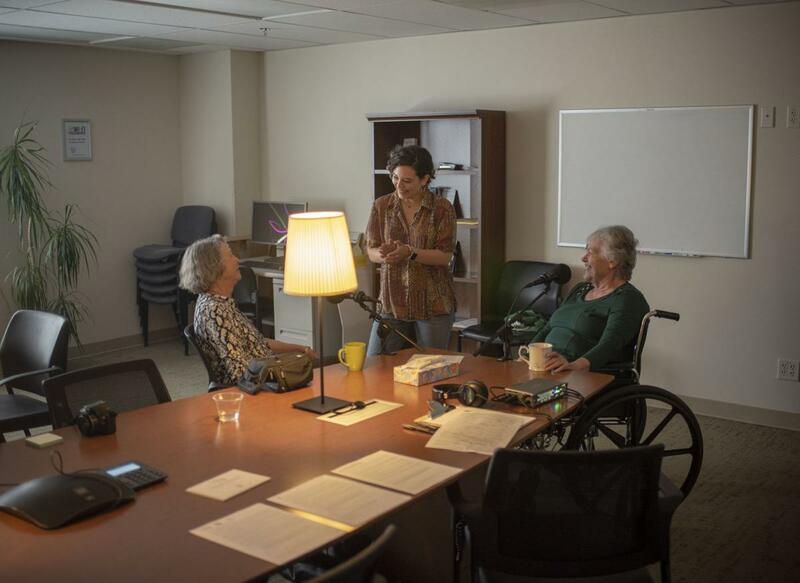 Jacqueline Van Meter joined the Mobile team in Fort Collins and began the practice of creating a montage of voices culled from the collected recording at each location. 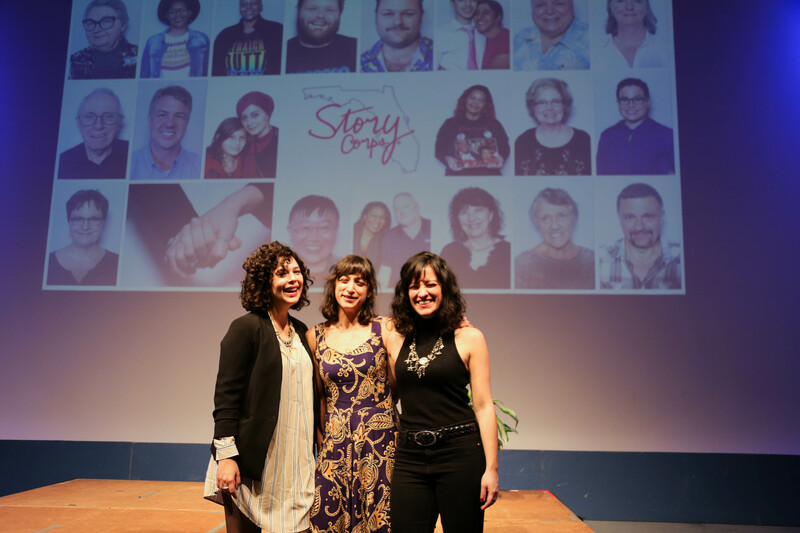 This cool project allowed us to highlight and share even more stories and voices. Please check out her “Voices Of” series for each stop. Listen to the Voices of Northern Colorado below — special shout-out to Ryan Thompson for this one! 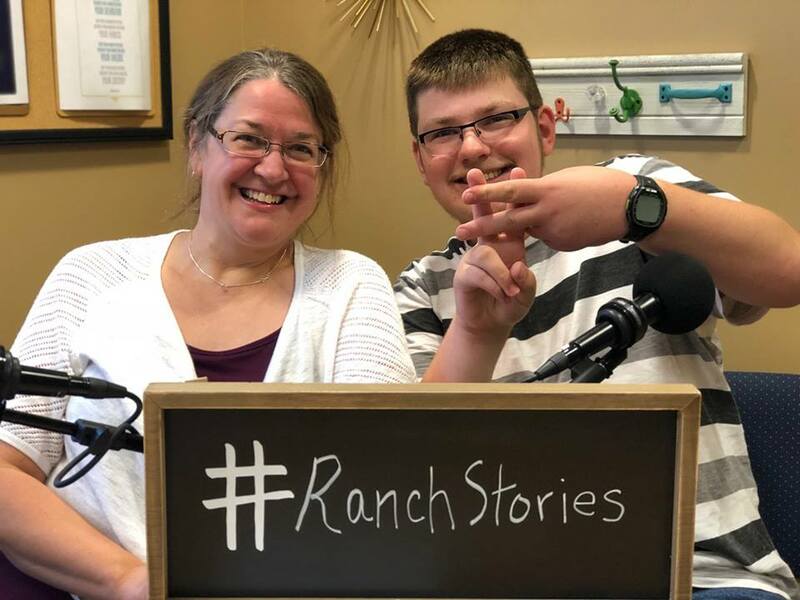 Listen to the StoryCorps clips produced by Ryan at KUNC here. 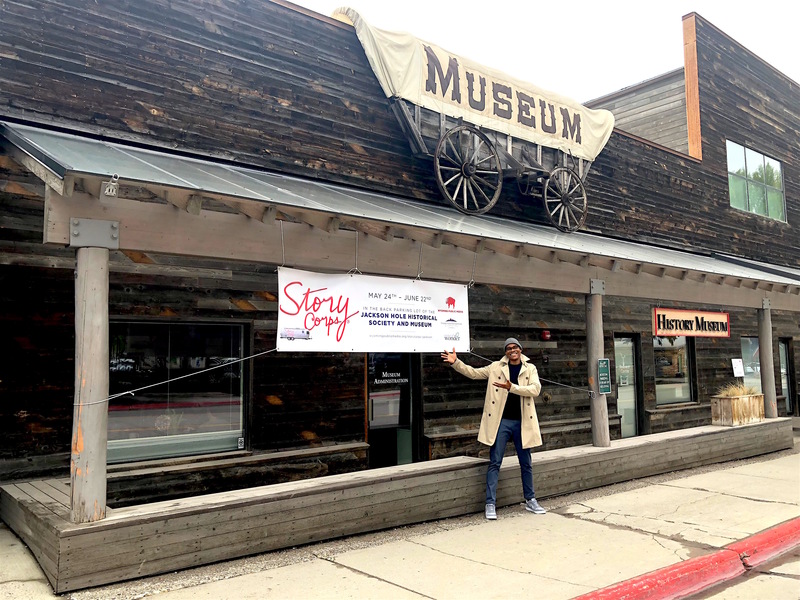 Photos: Site Manager Jacqueline Van Meter and Kem Beaty, who transports our booth from stop to stop, in front of the Grand Tetons; StoryCorps’ Director of Interview Collection, Darwensi Clark at the Jackson Hole Historical Society & Museum; Facilitator Melissa Velasquez preparing participants during a field recording at St. John’s Living Center. 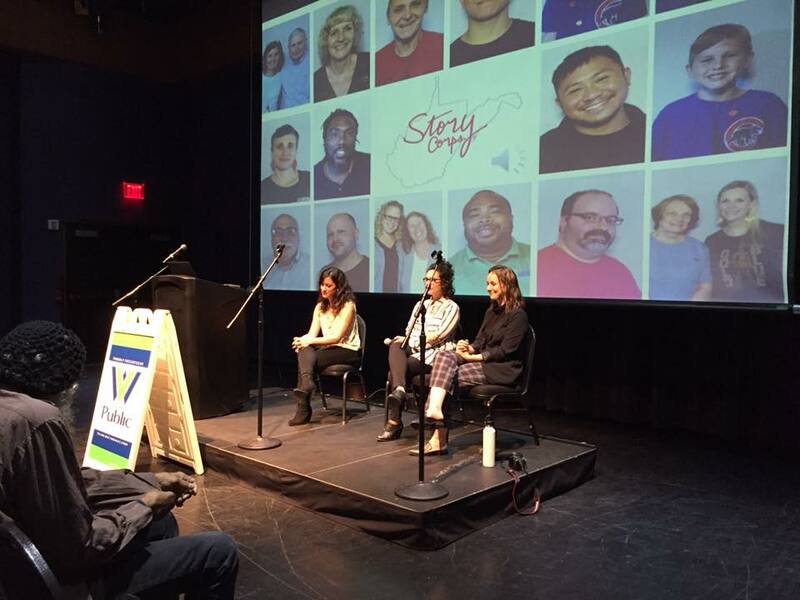 Listen below to the Voices of Jackson Hole, co-produced by Jacqueline Van Meter and StoryCorps Facilitator Madison Mullen. 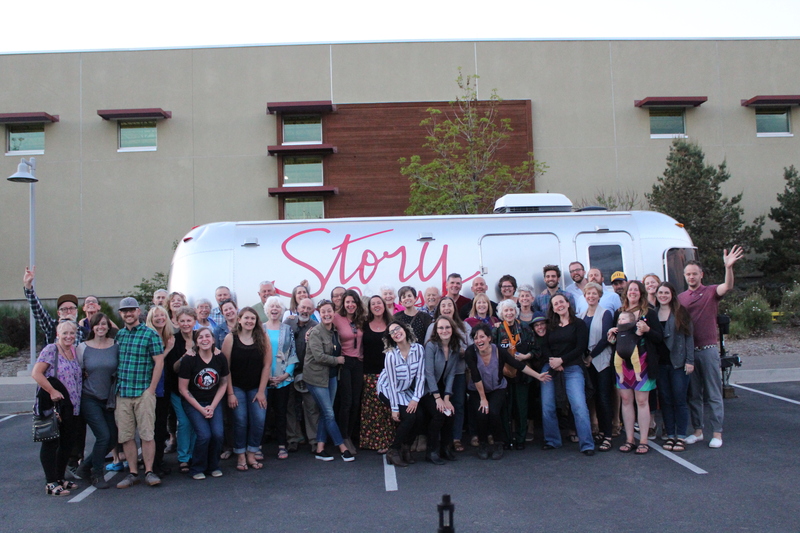 Listen here to stories produced by WPM from the recordings collected during our stop. 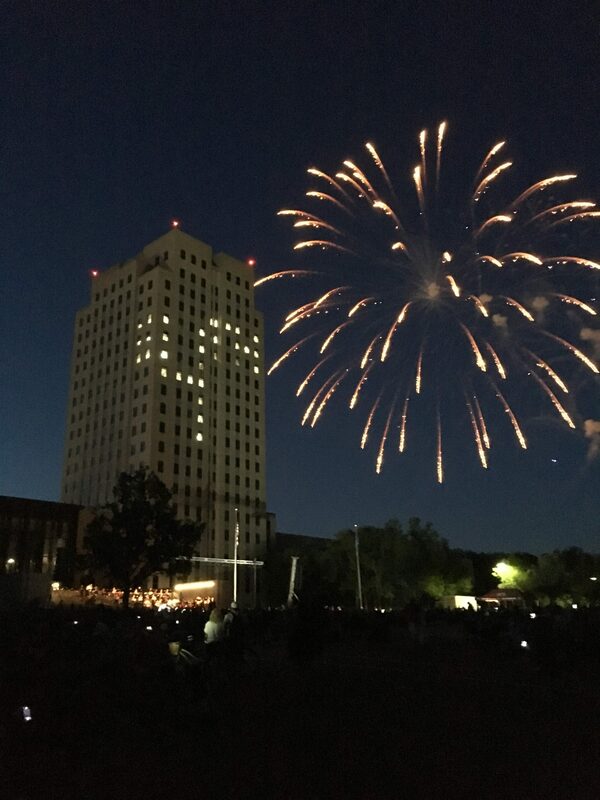 Photos: Group photo at our Listening Event; Fireworks over the state capitol building; participants at our Dakota Boys & Girls Ranch field recording. 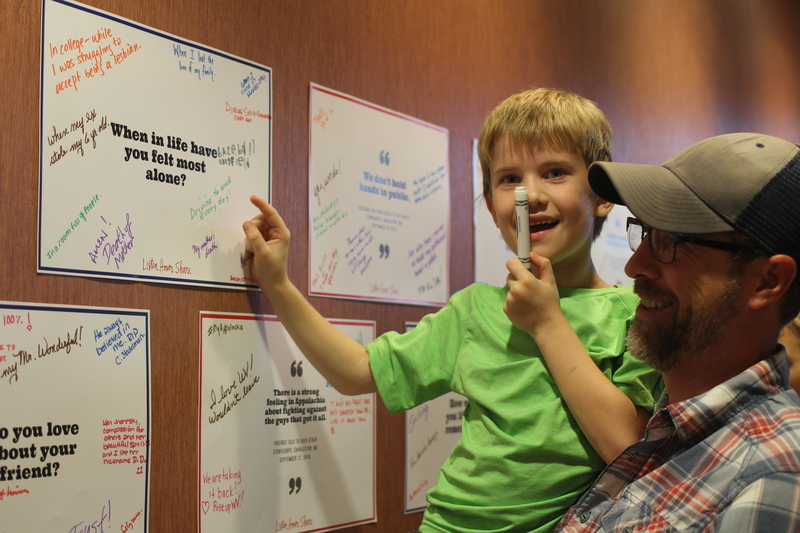 Listen below to the Voices of North Dakota. 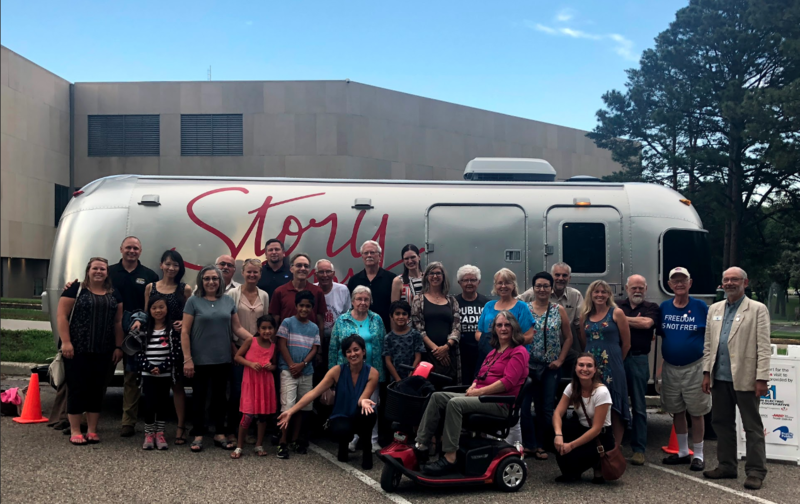 Listen here to StoryCorps North Dakota, produced by Prairie Public. 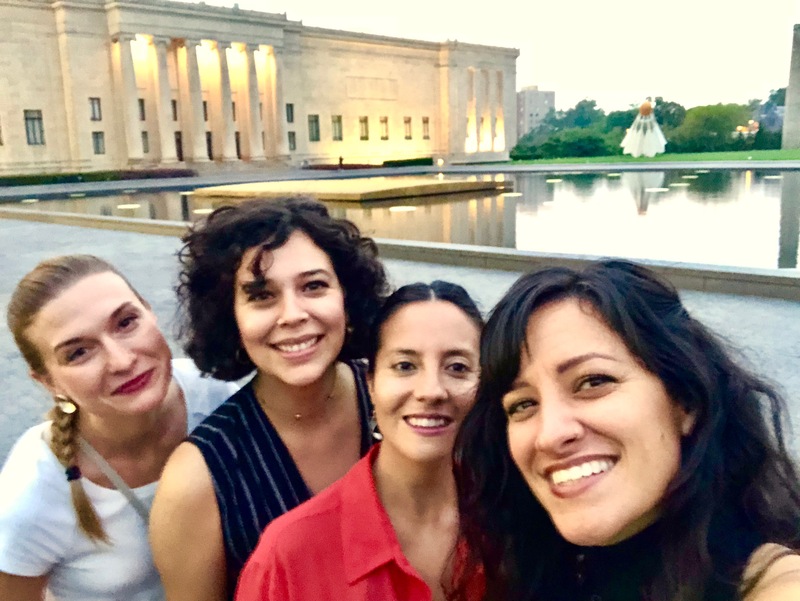 Photos: MobileBooth at the Nelson-Atkins Museum; Jacqueline and KCUR producer, Matthew Long-Middleton, at the KC Listening Event; Mobile team members Savannah Winchester, Melissa Velasquez, Fernanda Espinosa, and Jacqueline Van Meter. 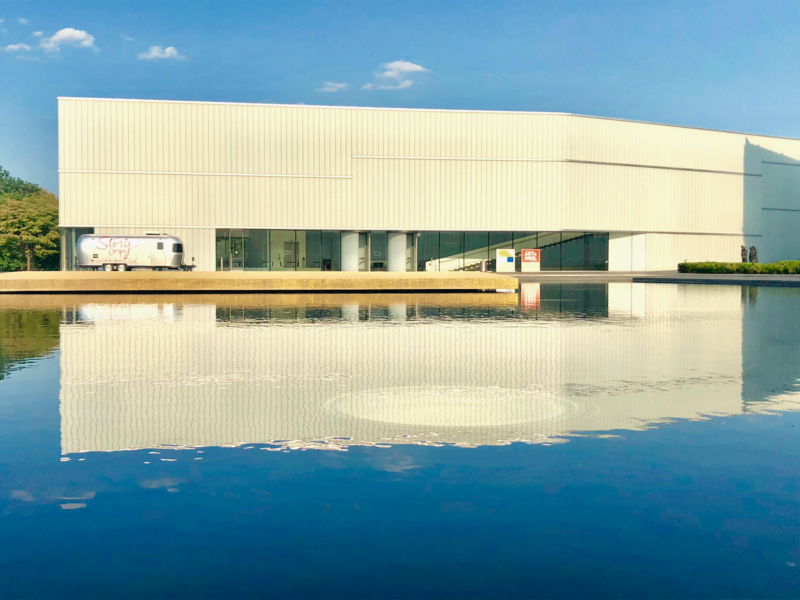 Listen below to the voices of Kansas City. 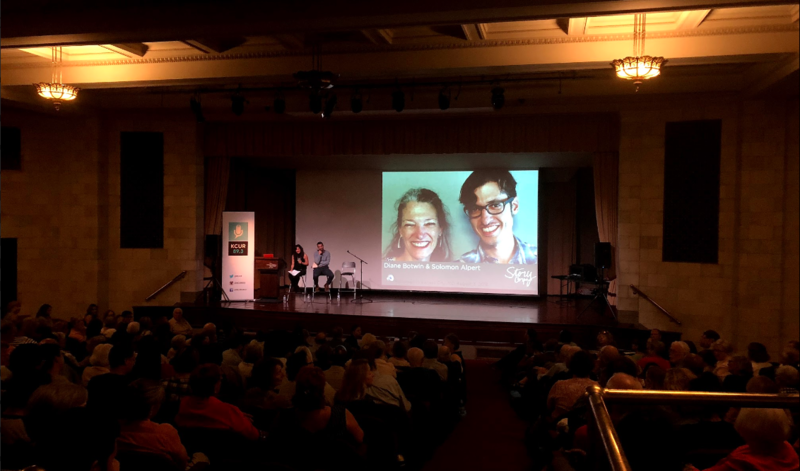 Listen to KCUR produced StoryCorps clips here! 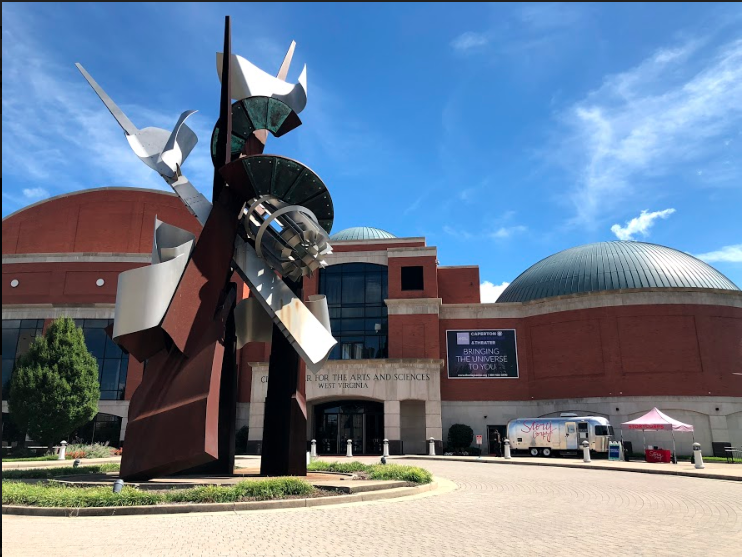 Photos: MobileBooth at the Clay Center; Listening Event attendees; Jacqueline Van Meter, Melissa Velasquez, and Madison Mullen on stage at the Listening Event. Listen below to the voices of West Virginia. 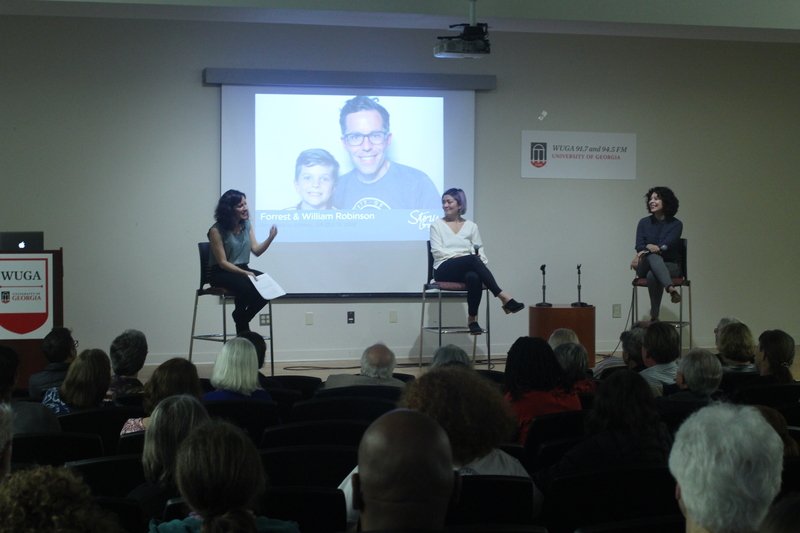 Listen to stories from our Charleston stop produced by WVPB. 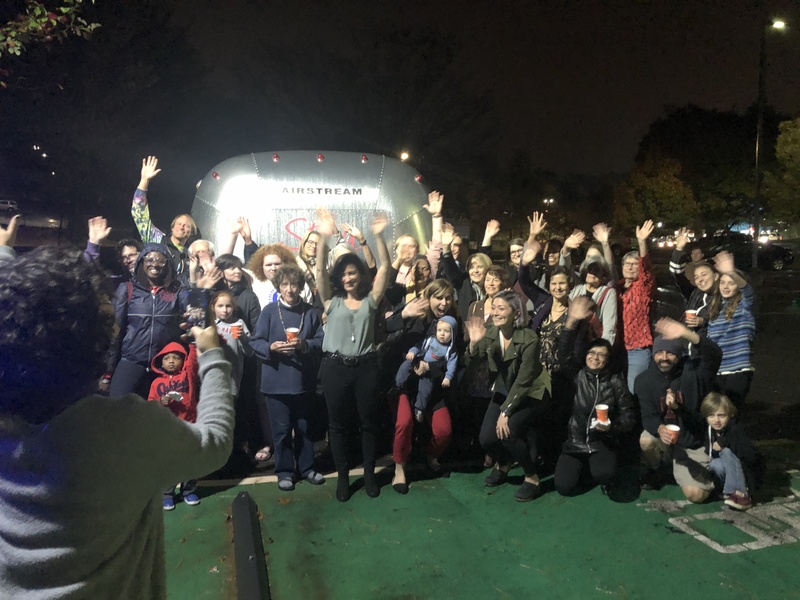 Photos: Halloween at the booth; StoryCorps facilitators Nalani Saito and Melissa Velasquez with Site Manager Jacqueline Van Meter at the Athen Listening event; Group selfie with participants after the Listening Event. Listen below to the voices of Athens. Listen the incredible stories being produced by WUGA here! 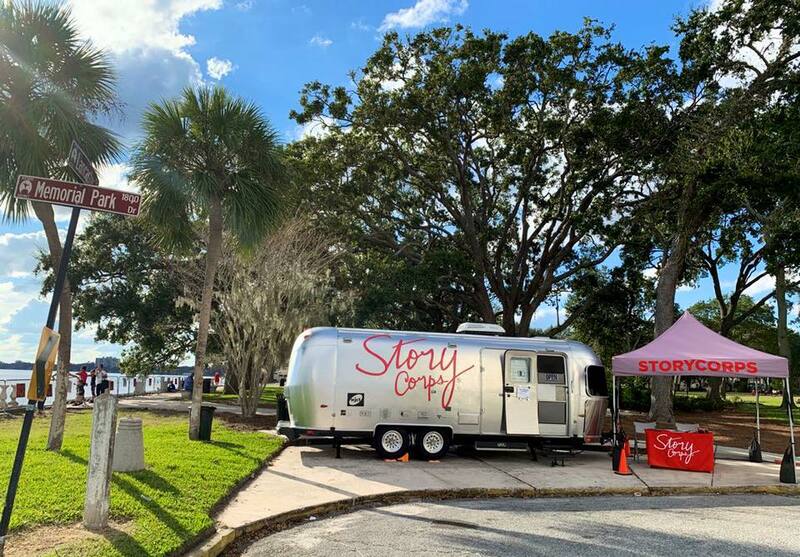 Photos- MobileBooth in Memorial Park; Attendees at the WJCT/StoryCorps Listening Event; Mobile road team Melissa Velasquez, Eleanor Vassili, and Jacqueline Van Meter. Listen below to the voices of Jacksonville. 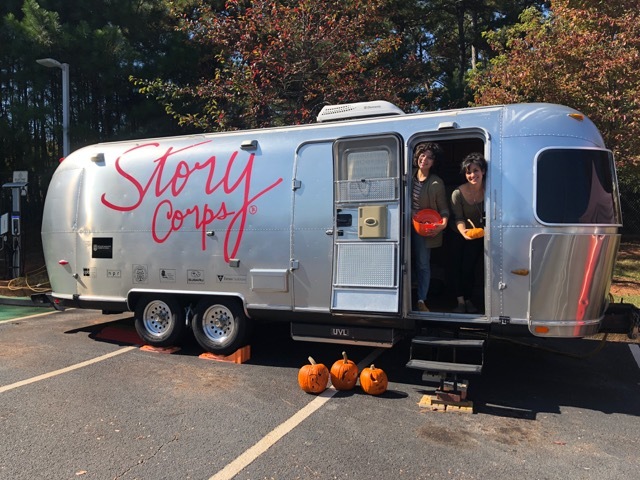 Listen to an exciting new podcast series developed by WJCT using StoryCorps recorded conversations here! 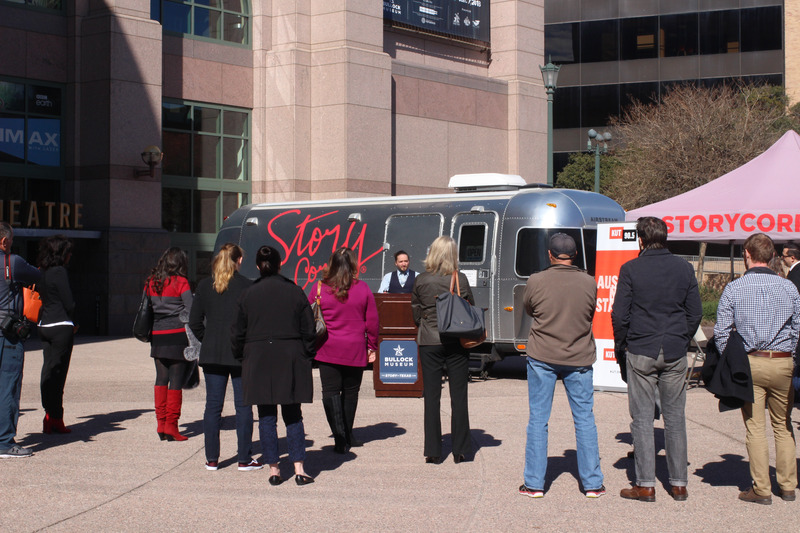 Major support for the StoryCorps Mobile Tour is provided by the Corporation for Public Broadcasting.